James Kerr completed his Master of Chiropractic in 2014 at Macquarie University. Following his graduation, James has worked in private practices in North West Sydney and Sydney CBD. He has also been a member of the Chiropractic Department at Macquarie University as a Chiropractic skills tutor. James’ goal as a Chiropractor is to help restore and optimise musculoskeletal health and function to the spine and peripheral joints. Having studied the Selective Functional Movement Assessment (SFMA), James has a strong focus on addressing key functional movements and biomechanics as well as postural correction. 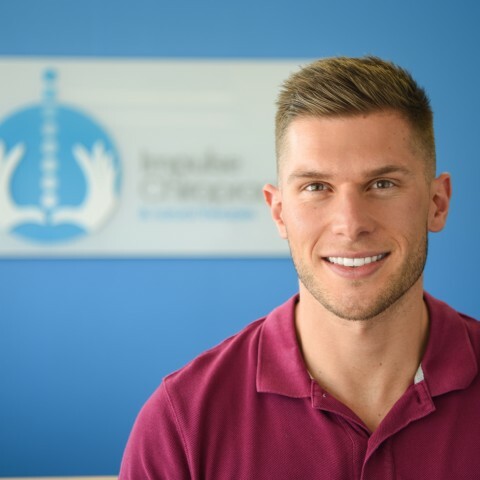 To help achieve this goal James uses a combination of chiropractic and physical therapy techniques including Diversified adjustments, Thompson drop technique, activator, muscle release techniques, dry needling, ultrasound, taping and exercise rehabilitation. James works hard to devise treatment plans that are tailored specifically to the each patient’s needs and goals. James has a strong passion for sports and fitness. He loves soccer, cricket, rugby, mountain biking, snowboarding, running and gym training. He is currently playing premier league soccer for the CC Strikers. James is also a qualified Personal Trainer and through his time as a trainer has trained a diverse range of clients including those with serious injuries and disabilities. This experience has helped enhance his rehabilitation skills.